The recent widely reported declaration by the Minister of Solid Minerals Development, Dr Kayode Fayemi, that states could exploit mineral resources in their domains with the attendant positive response from states has, no doubt, opened another chapter in the federal government-states relationship. In the last one month, I have stumbled on a few group discussions on the declaration, which many see as a welcome development in the quest by the states to shore up their revenue profiles in the face of a dwindling oil price. In one of such discussions, the emphasis was on the proviso which the minister added to the declaration: that such mining activities should be done in line with the laid down laws. “It has to be done within the provision of the law. Once you do it within the law, the government will at least get royalties from you (states), get taxes paid legitimately, have people employed in this area. This achieve our objectives of alternative revenue generation for the country and job creation for our people”, Dr Fayemi was quoted. The development, seen by many as novel, would no doubt provide the needed lift for many of the states when it is eventually firmed up. Aside the states, many stakeholders are also excited by the plan which will see states participating in mining through partnership and joint ventures. Whereas the new position has the backings of the law as noted by Dr Fayemi, what observers however find a bit curious is why it was never enunciated by previous regimes. And that is vintage Fayemi. He embraces assignments with every sense of responsibility and pursues set goals with a huge dose of vigour, spiced with youthful gusto. To him the rule of law is paramount, just as social justice is an essential ingredient for socio-political and economic development/empowerment. He believes every policy must be a product of thorough process with the concomitant advantage for the majority. To him, every assignment must be discharged with precision and must come with its added value to national development and must of necessity bring succour to the people. Whereas the constitution gives the federal government exclusive right to explore minerals. But, as an innovator, Fayemi knows that it would be difficult for the federal government to do that successfully without collaboration with the states. Hence the need to put in place a mutually beneficial arrangement. Other plans being put in place by Fayemi to revolutionalise the solid minerals sector include upgrading the Mining Cadastre Office and the Mines Inspectorate Directorate; establishment of Mines Police; automation of the mining rights/titles; institutional support to artisanal and small scale miners for the purpose of integrating them into the formal economy. Others include building of bankable geosciences data; enforcement of the “use it or lose it” licence provision of the Minerals and Mining Act, 2007 ; external audit of revenue receipts as well as guaranteeing the integrity of mining licence. He believes that the huge investments that will boost the fortunes of the sector would come when the right foundation is laid and investors confidence are restored. For Fayemi, the desire to always think outside the box in order to provide solution and achieve set goals have remained the hallmark of his public service engagements. In December 2015, clearly one year and two months after he had left office as governor of Ekiti State, the administration he led was recognised as one with the most transparent budget model among the 36 states in the country. The Civil Resource Development and Documentation Centre (CIRDDOC) organisers of the award, had rated Ekiti State budget under him as being the one with the most transparent process. The survey was done with data collected in 2014. In the ‘Transparency Index 2015’, of the survey, Ekiti scored 79 – the highest score on the index ahead of Cross Rivers and Lagos States. In achieving budget transparency for the state, Fayemi’s first major step was to enthrone a culture of transparency in the state. A few months after he assumed office as governor, the state Assembly passed into law the Freedom of Information Act. This ensured that government business was done in the most transparent manner. Right from his days as a student union activist, to the era of pro-democratic activism, to his participation in partisan politics, Fayemi’s highly visible signature remains his integrity. “The only thing I came into government with is my integrity”, is perhaps his most common phrase. He uses every opportunity to demonstrate that an activist in government can make a difference. In all his public assignments he continues to show, through proven results, that he is a builder of a new dawn, working with imagination, insight and boldness. He is a social innovator and change agent who is able to motivate people with good ideas for optimal productivity. When he declared that repositioning the solid minerals sector to meet President Muhammodu Buhari’s aspiration was achievable. It is not because he does not recognise that the sector has its peculiar problems. It is simply because of his avowed belief that with the right mix of dedication, innovation and putting in place the right structure, it would be achieved. Born in Ibadan, Oyo State on February 9, 1965, Dr Kayode Fayemi is a native of Isan-Ekiti in Oye Local Government of Ekiti State. He was inaugurated as Minister of Solid Minerals Development on November 11, 2015. He was Governor of Ekiti State from October 2010 to October 2014. Prior to his involvement in politics, Dr Fayemi was Director of the Centre for Democracy and Development (CDD), a research and training institution dedicated to the study and promotion of democratic development, peace-building and human security in Africa. He attended Christ’s School, Ado Ekiti for his secondary education, Federal School of Arts and Science, Ondo for his Higher School Certificate (HSC) and received degrees in History, Politics and International Relations from the Universities of Lagos and Ife in Nigeria. He bagged his Doctorate in War Studies from King’s College, University of London, England. Prior to heading the CDD, Dr. Fayemi worked as a lecturer, journalist, researcher and Strategy Development Adviser in Nigeria and the United Kingdom. As a prominent leader of the Nigerian opposition to military rule in exile, he was responsible for the founding and management of the opposition radios – Radio Freedom, Radio Democracy International & Radio Kudirat and played a crucial role in the opposition’s diplomatic engagements in exile. The historic concession speech he made shortly after he lost the 2014 gubernatorial election in inexplicable circumstances is regarded as one of his notable legacies. He is also credited for superintending over the presidential primaries of the ruling APC in December 2014 which is widely adjudged as the most transparent and credible presidential primaries election in Nigeria’s fourth republic. During his tenure as Governor of Ekiti State, Dr. Fayemi pioneered several governance and accountability initiatives in Healthcare, Education, Infrastructure Development, Women’s Empowerment and Community Development that propelled Ekiti State to the top echelon of the development matrix at the sub-national level. 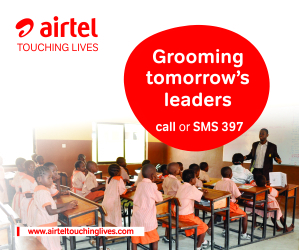 The state was recognized severally both locally and internationally for these giant strides. His administration instituted a social security benefit scheme – the first of its type in any state in Nigeria. The scheme while operational in the state covered over 25,000 indigent senior citizens. For his pioneering and leadership roles, he was given several awards and recognition including the Leadership Newspaper’s Governor of the Year Award, 2012; the Zik’s Prize in Leadership (Good Governance) Award in 2013; Champion Newspapers Governor of the Year award in 2014. Above all, JKF, as he is fondly called is a product of grace. This is evident in his life trajectory and the manner he overcomes every adversity on his path to greatness. It is this grace that defines and shapes his life right from his teenage years, when he served as an altar boy in the Catholic Church, that continues to define his upward journey on the political ladder. More than anything, it is this special grace -which comes only from above -that is the focus of celebration today as JKF turns 51. From the four corners of the country and beyond come fifty and one cheers for this devoted father and husband; a reputable administrator, innovator, democrat and change agent, who remains a shining example to the younger generation in the areas of leadership, scholarship, social justice and political tolerance. Oyebode is Special Assistant (Media) to the Minister of Solid Minerals Development. Trusting you to leave solid footprints in your new turf as always.May you live long in good health. Our Pride! Our Joy! 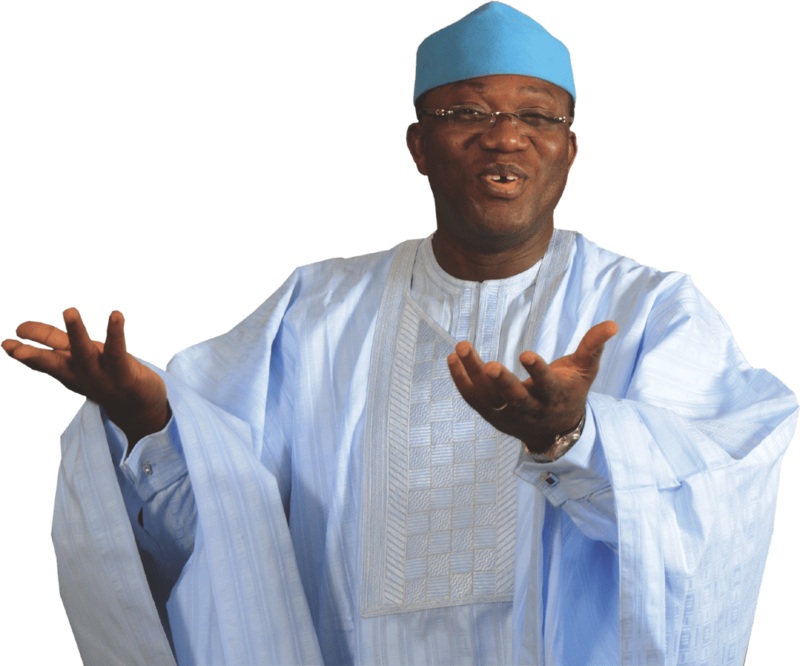 Happy birthday to the world renowned scholar, great son of Africa, Nigeria ‘s pride, oni uyi, oni eye, H.E Dr JK Fayemi. His indelible achievements as Governor still stands him out from those who ousted him through a ‘coup d’etat ‘. They said he wasn’t eating on the streets, they said he doesn’t ride okada, they said he doesn’t revel in chicanery. And they conspired against him. While the world was saying the combination of him and his hard working first lady Erelu Bisi Fayemi was a situation of buy one get one free for Ekiti, in terms of service delivery, the conspirators truncated this glorious era for Ekiti. To the glory of God Ekitis loss turned out to be a GAIN for Nigeria as his appointment as Solid Minerals Minister is set to reposition the sector as the ultimate alternative to the dwindling crude oil revenue. Congrats sir, wishing you many more fruitful years in life.